Update: THANK YOU for your generous donations to date! We have retained our attorneys, and with the checks submitted and GoFundMe donations, we are about halfway to our fundraising goal. Every donation helps, thank you for contributing. Edgewood High School withdrew its proposal for an amendment to its Master Plan, effectively bypassing a public process that would have included a public hearing and votes by the Plan Commission and City Council. They have chosen to ignore the City’s determination that competitive use of the athletic field violates its current zoning. 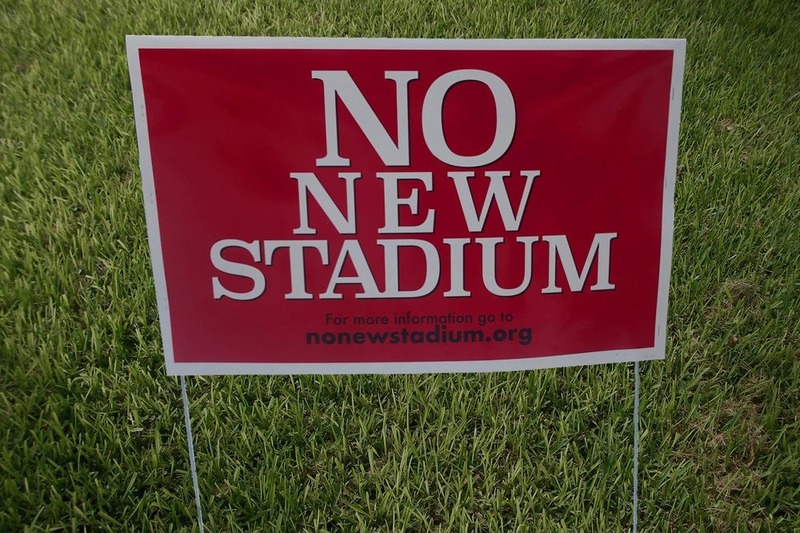 They are attempting to build their stadium incrementally in ways that do not allow for public input. We believe the time has come for neighbors and No New Stadium to develop their own legal strategy and have an advocate to communicate our legal arguments to the city. An experienced and highly regarded municipal and land use attorney and firm with connections to the neighborhood was recommended to us. We believe this firm will be able to effectively represent our interests. We would like to retain this attorney and need to raise funds. So far the No New Stadium steering committee has contributed over $2000! Please contribute to protect the interests of the residents of our neighborhood and the peaceful Lake Wingra environment. Thank you for your generous contributions! This quick response is amazing with 20 donors (checks and gofundme) averaging $155 each! We are well on our way to our total goal of $10,000 and ready to get to work and see this process through. Your dedication to the livability of our homes, neighborhood, and surrounding parks is appreciated.